cdcindonesia.com - In the morning, all the job seekers, the following information on job vacancies from one of the companies engaged in the state-owned telecommunications sector, namely:Telkom Group is the only state-owned telecommunications enterprise as well as telecommunications and network service providers in Indonesia. 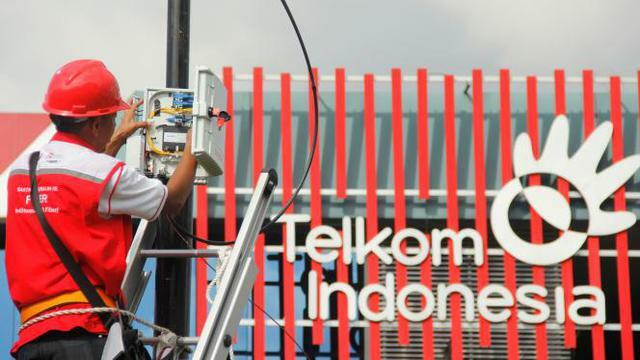 Telkom Group serves millions of customers throughout Indonesia with a complete range of telecommunications services that includes fixed wireline and fixed wireless connections, mobile communications, networking and interconnection services and Internet and data communication services. Telkom Group also provides various services in the field of information, media and edutainment, including cloud-based and server-based managed services, e-Payment services and IT enabler, e-Commerce and other portal services. Telkom Group invites the nation's best talent in the industry to join together to realize Telkom as King of Digital in The Region, the king of telecommunication and digital services in the air, land, and at sea. Telkom continues to digitize the entire process, innovating to provide the best customer experience and implement lean and agile organizational transformation to achieve competitive advantage and reliable digital capabilities. Great People Internship Program (GPIP) is a certified internship program from Telkom Indonesia that is open to Vocational School (SMK), Diploma, Bachelor and Master graduates. GPIP was launched to increase knowledge, abilities, skills and work environment introduction to apprentices with the best mentors guidance in all the best areas of Telkom Indonesia. GPIP is a form of Telkom's concern to help prepare talents who have added value by giving the skills to apprentices to be better prepared to enter the work world and make positive contributions while working anywhere. Fields of work that can be studied during the internship program include 4 fields: Sales, Marketing, Telecommunication, and Information Technology. Internship opportunities opened in Sumatera, DKI Jakarta, Jawa Barat, Jawa Tengah, Jawa Timur / Bali / Nusra, Kalimantan, Sulawesi / Kawasan Timur Indonesia and other cities determined by Telkom. Implementation time for 6 months and can be extended a maximum of once period. GPIP admission selection is local according to the city chosen. Apprentices who meet the requirements and pass the selection will get pocket money, work skills training in the field of apprenticeship, internship certificate (in accordance with applicable terms and conditions), health insurance, work accident insurance and apprenticeship final incentives. Only applicants who meet the requirements and pass the selection will be processed further. Telkom Indonesia never collected fees at all stages of the GPIP selection. Only applicants who meet the requirements will be processed. Information related to the selection process can be viewed on the site at link below and only sent via email internship@telkom.co.id. Those who are interested please apply to link below no later than February 6, 2019. Application will be treated strictly confidential and only candidates that meet the above qualification will be shortlisted.